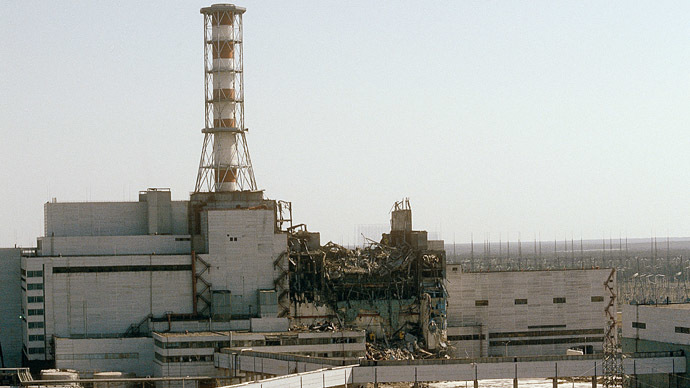 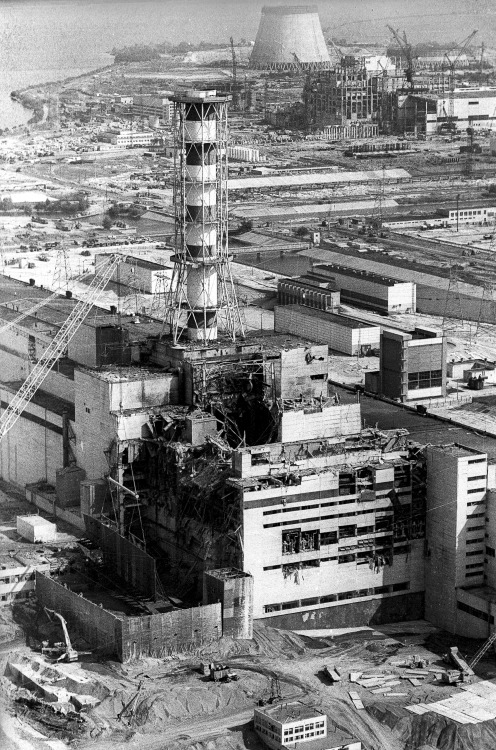 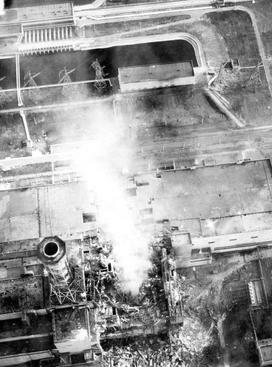 Rare full-resolution photo of Chernobyl's destroyed nuclear reactor building. 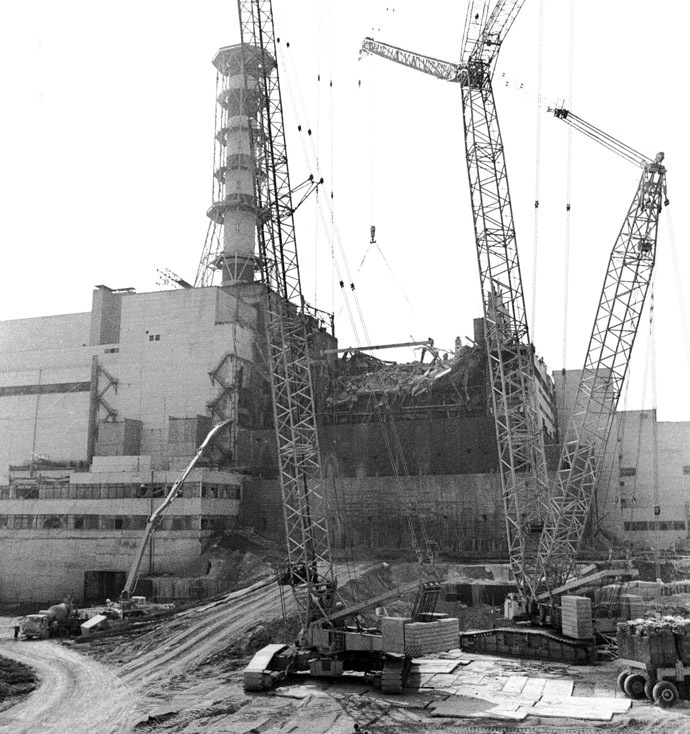 30 years ago next week. 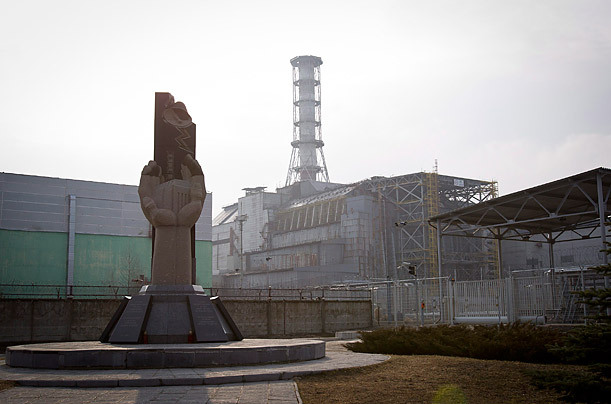 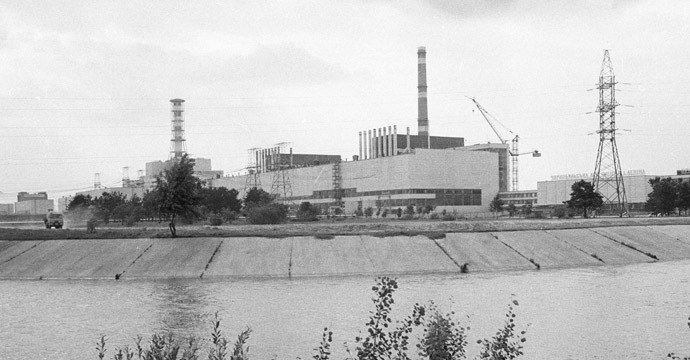 Workers gather for a meeting in this November 1986 file photo, marking the accomplishment of the first stage of the concrete sarcophagus covering Chernobyl nuclear power plant's fourth reactor. 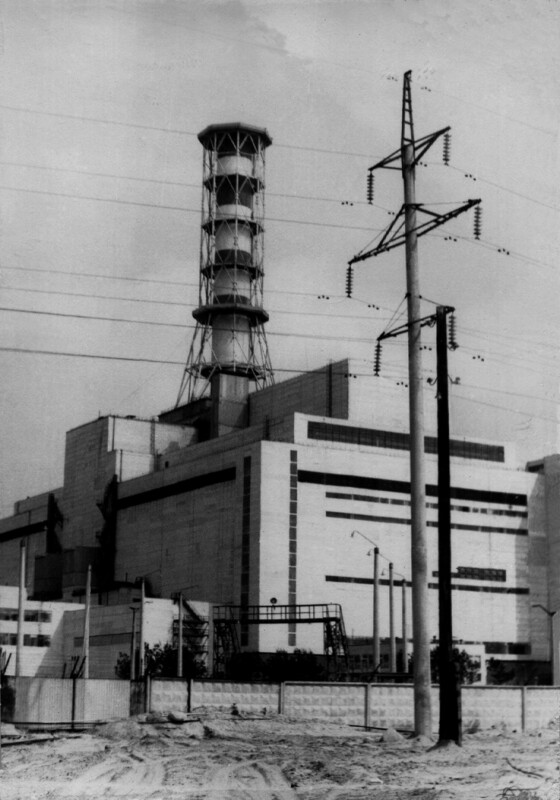 A concrete roof ("sarcophagus") is completed over the fourth reactor. 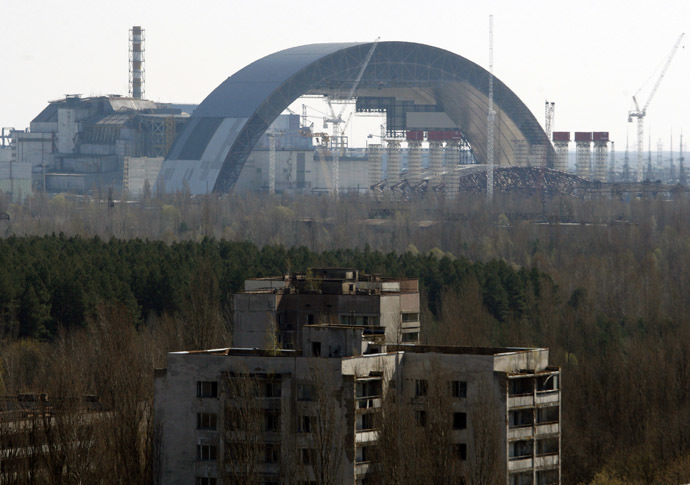 It is built to protect the environment from radiation for at least 30 years. 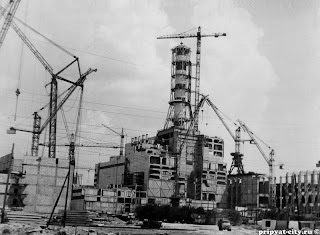 300,000 tons of concrete and 6,000 tons of metal constructions were utilised.